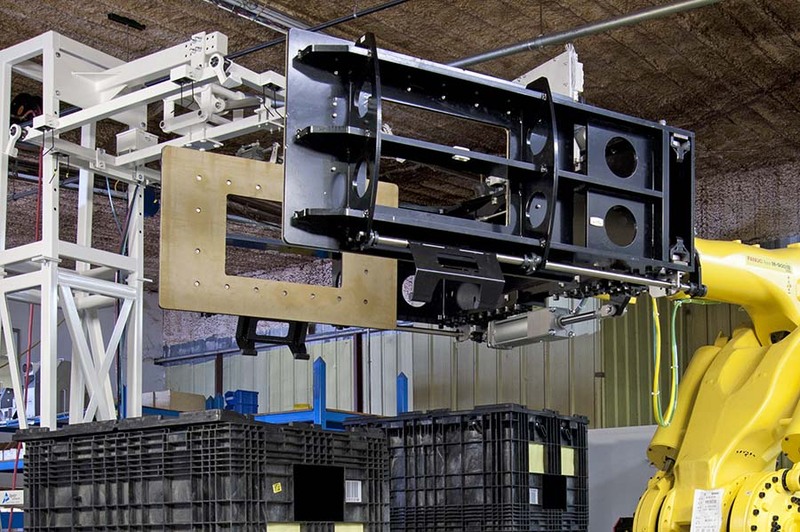 The TRD 2000 is the latest in seed box handling technology from Magnum Systems. It is designed to automatically take a stack of, up to, 3 nested boxes from the infeed side and prepare them for filling. The unique end of arm tooling clamp, picks up the top nested box from the stack and removes the lid, inverts the center box section and sets the lid back down on the assembled box. The box is now automatically indexed to the fill station. 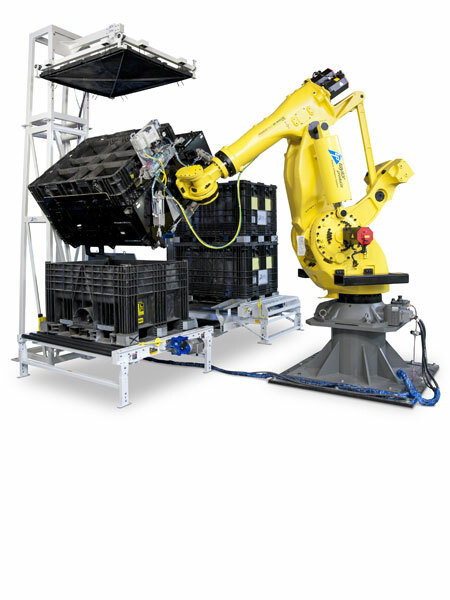 All of this is performed with the speed and reliability that only a FANUC robotic arm can provide.